PT Bank Pembangunan Daerah Jawa Barat dan Banten Tbk - PT Bank BJB Tbk (IDX:BJBR) or more popularly called "Bank BJB" is a reputable public-listed banks in Indonesia. 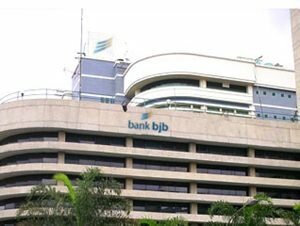 Bank BJB is based in Bandung West Java and is majority owned by the regional government (provincial, regency and municipal) in the West Java and Banten provinces. As of December 2015, 38.26% of its shares are held by the West Java Provincial Government, 23.61% by the Regency/Municipal Governments in West Java Provinc, 5.37% by the Banten Provincial Government, 5.17% by the Regency/Municipal Government in Banten Province, 6.25% local individual investors, 7.25% by local institution investors, 0.025% by foreign individual investors and 11.48% by foreign institution investors. Bank BJB runs its business through 62 branch offices, 312 sub branch offices, 326 cash units, 134 payment points, 11 Mobile Cash Service Units, and 1,204 Bank BJB ATMs. Achievement and performance of Bank BJB in 2015 shows good results achievement.. According to PT Bank Pembangunan Daerah Jawa Barat dan Banten Tbk Annual Report 2015 as cited by JobsCDC.com, Bank BJB has successfully booked total net profit of Rp 1,381 billion in 2015, which increased 23.30% from Rp 1,120 billion in the same period previous year. The Bank’s total assets in 2015 amounted to Rp 88.69 trillion or increased 16.92% compared to the achievement in 2014 of Rp 75.86 trillion. Minimum education S1 from a leading university (Accredited A) with an educational background in all disciplines except, Health Sciences / Nursing, Literature, Art, Education / Pedagogy and Religious. Possess a minimum cumulative GPA of 3.00 (for S1) or 3.25 (for S2) on a 4.00 grade scale. Maximum age of 25 years old (for S1) and 37 years old (for S2). Not married and willing to undergo a period of bond. Willing to be placed throughout Bank BJB's network unit. Minimum education S1 from a leading universty with an educational background in all disciplines. Possess a minimum cumulative GPA of 2.75 (for S1) or 3.00 (for S2) on a 4.00 grade scale. Required professional experience for minimum 5 years in banking industry/related position. Possess certification in Business Intelligence is prefered. Required professional experience for minimum 3 years in the same field (RM/RO/AO/CR). Maximum age of 40 years old for Relationship Manager Komersial and 35 years old for Relationship Officer Komersial. Previous experience in providing loans for business sectors of plantation, Shipping, Oil and Gas, Mining, Telecommunications, Manufacturing, Automotive as well as business sectors of Corporate industrial segment and Other Commercial. Possess certification in risk management. Willing to be placed on Sumatra (Lampung, Medan, Palembang, Pekanbaru), Kalimantan (Balikpapan and Banjarmasin), Batam and Makassar. Minimum education SMA or equivalent. Minimum average diploma score of 7 from SMA or equivalent. Minimum height of 155 cm (Female0 and 165 cm (Male) and weight proportional. Maximum age of 21 years old on 1 August 2016. Willing not to get married during the training and a bond period. Good looking and attractive appearance. Strong interpersonal, communication and oganizational skills. Have a good health physically and mentally, no partial or total color blindness, free from the influence of narcotics and other addictive substances. High integrity, disciplined and committed. Not have a family relationship with Bank BJB's mployee up with 2nd degree (father / mother / grandfather / grandmother / husband / wife / son / brother / sister). Willing to undergo a period Bond/Association Office. JobsCDC.com now available on android device. Download now on Google Play here. Please be aware of recruitment fraud. The entire stage of this selection process is free of charge. PT Bank BJB Tbk - SMA, SMK, D3, S1, S2 Fresh Graduate, Experienced BJB July 2016 will never ask for fees or upfront payments for any purposes during the recruitment process such as transportation and accommodation.